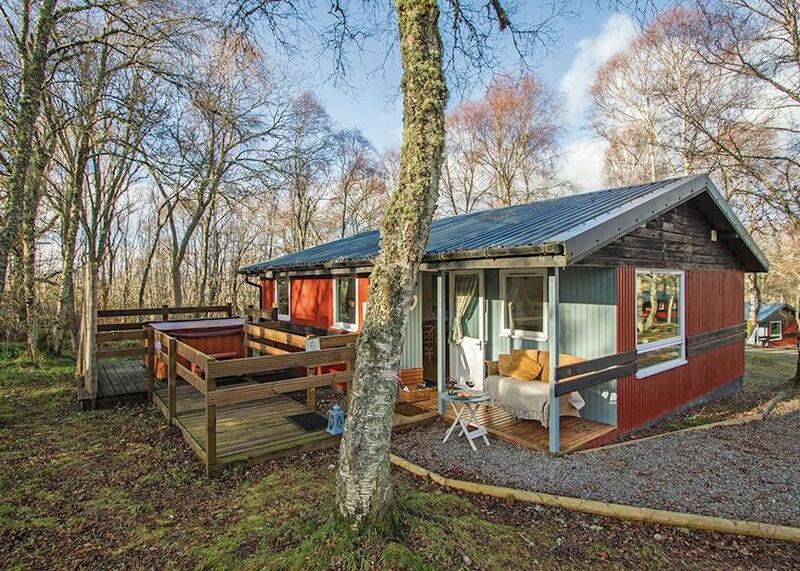 Kiltarlity Lodges are a selection of fantastic log cabins nestled in a lovely woodland setting on a hillside in the Scottish Highlands. 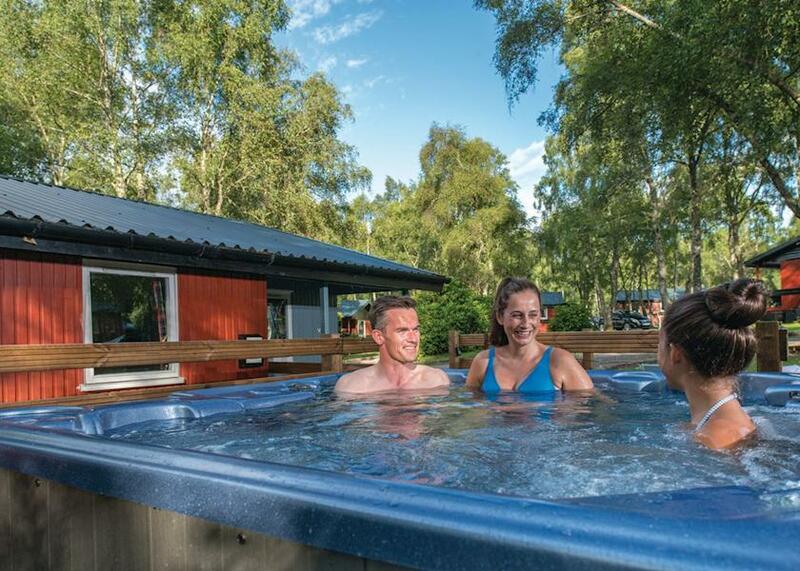 Cosy and welcoming, the lodges combine all the ambience of a rustic cabin retreat with state of the art facilities to provide an idyllic base for a rural getaway in this stunning region. Indoor heated pool, Wi-Fi access, fire pit, children’s play area, tennis court, launderette* and even an indoor pool. 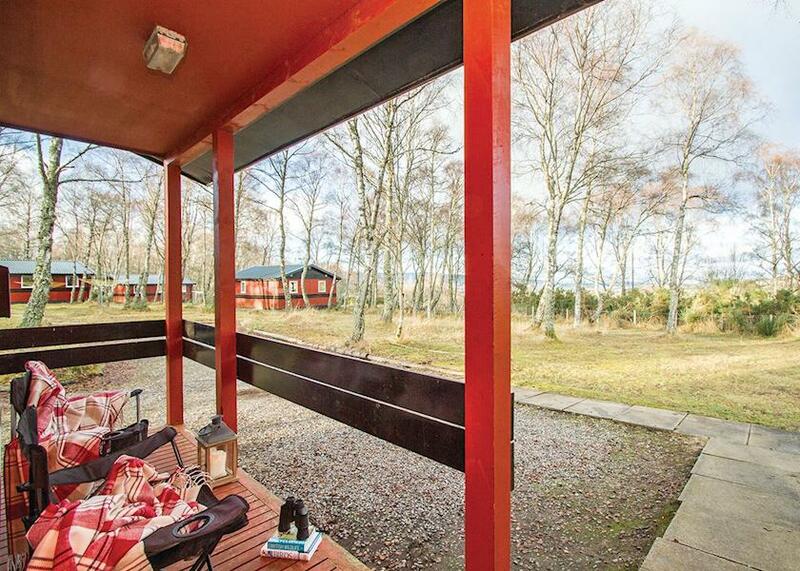 Guests can choose from a selection of comfortable two and three bedroom timber lodges. 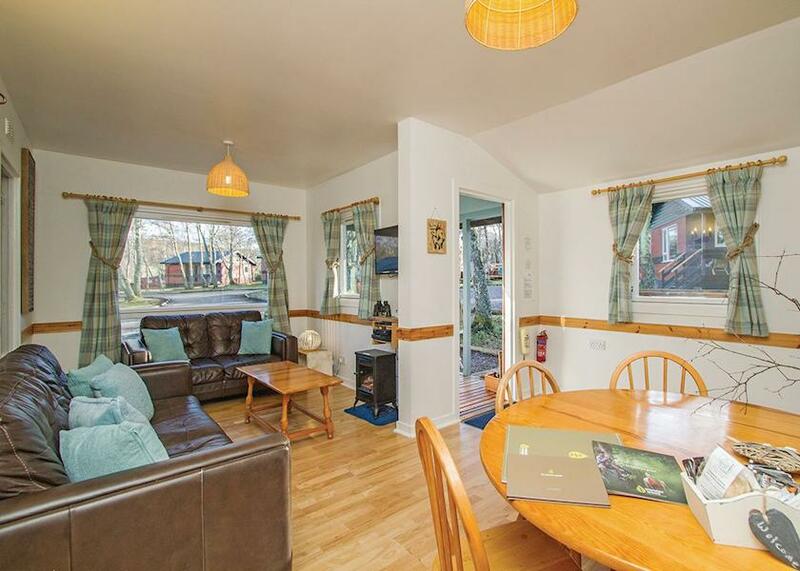 Designed to really make the most of their lovely surroundings, the lodges are all bright and spacious, with panoramic views over the picturesque scenery. Some even have their very own hot tubs. A real touch of luxury, these make an exceptional place to unwind and bask in the tranquility of the park, and enjoy a spot of stargazing on a clear night. 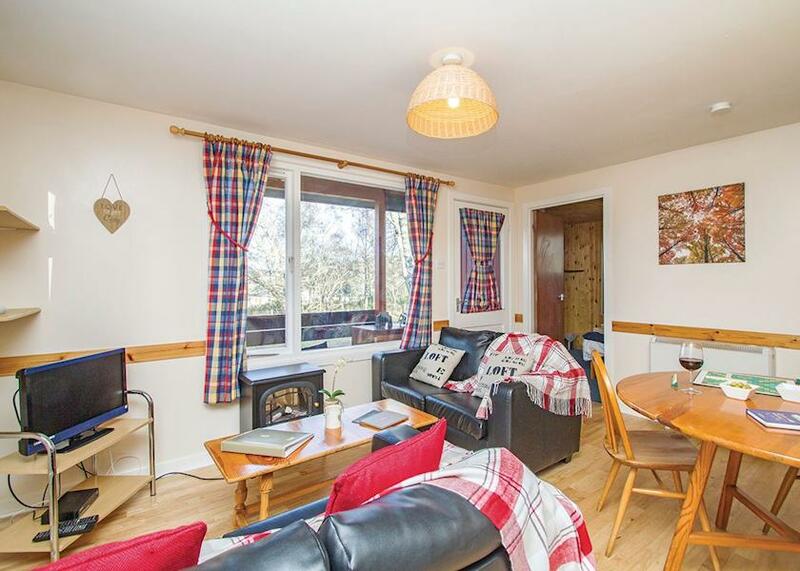 General amenities include: TV with Freesat, and a well-equipped kitchen, including microwave. Rent includes bed linen, duvets and towels. Travel cots and highchairs are also available, charged at @12pw and £7pw respectively. Pets are welcome for free (max 2). Please note: All non smoking accommodation. Some lodges are suitable for parties including visitors with partial disabilities – please check when booking. The surrounding area of these exceptional lodges is a paradise for lovers of the great outdoors. Loch Ness is close by and cannot be missed. The Inverfarigaig – Foyers – Loch Ness – Inverfarigaig walking trail is a 6.4 mile route that looks over the magical water. Taking about four hours, it starts at the Inverfarigaig car park and continues to Upper Foyers, before descending overlooking the falls. A great way to view this world-famous loch. You can even try your luck at catching a photograph of its elusive inhabitant. Elsewhere, the Cairngorms National Park creates a majestic backdrop for hikers and hosts abundant wildlife. While a boat trip on the Moray Firth may reward you with a visit from dolphins. Furthermore, the spectacular Ben Mor Coigach estate in Achiltibuie encompasses mountains, moorland, peatbog and a chain of lochs. lPtarmigan, great northern diver, Grey seal, otter and red deer are among the wildlife, and the trail from Strathkannaird to Achiltibuie is a wonderful coastal walk. Of course, the region is rich in fascinating history, and Fort George is very close by. This huge artillery fortification was built following the Battle of Culloden. It includes a reconstruction of barrack rooms and a display of musket and pikes. And Clava Cairns makes a fascinating trip for the whole family. Dating from about 4000 years ago, the Bronze Age cemetery has a collection of kerb cairns, ring cairns, passage graves and some chapel remains. Meanwhile, beautiful Inverness, the Highland capital, with its stunning Gothic cathedral, fantastic shops and restaurants, is just a short drive away. Here at logcabinholidays.com we have a range of log cabins and lodges available for couples, families and groups. Log cabins are great if you're looking to enjoy the outdoors and get back to nature, or you just want to take advantage of the hot tub. 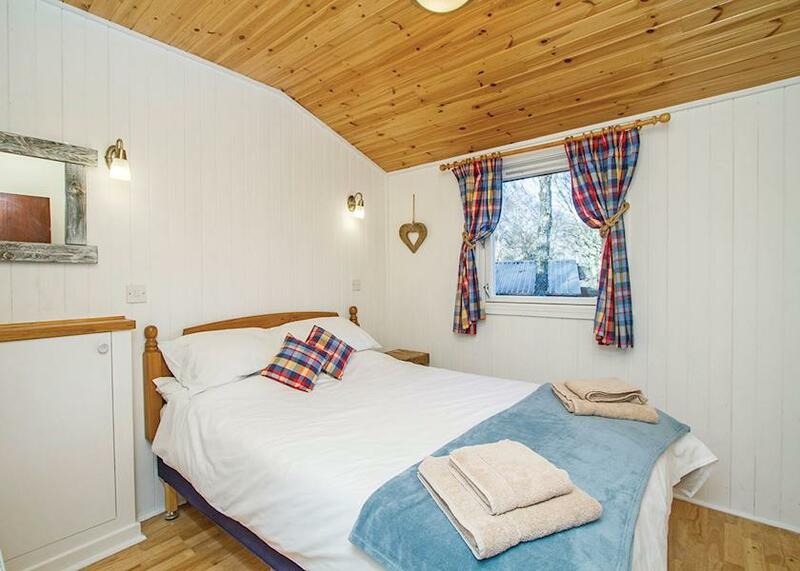 Most of our cabins have the great outdoors on their doorstep and there is something to suit every taste and budget. So get in touch to see if we can find the perfect cabin for your next holiday! Logcabinholidays.com offers a range of standard and premium listings for private and business owners looking to promote their log cabins. Contact us today to discuss how we can help you advertise your cabin. © 2018 Logcabinholidays.com - All rights reserved.